Recently released Firefox 43 is now the default setting blocks unsigned extensions. This is to ensure safety, but many users did not like this innovation. In this article you will learn the way in which all the same will be able to install third-party extensions to the Firefox browser. All add-ons that are installed from the official Mozilla directory are pre-tested and tested, resulting in a signed status. Checking signature in the new version of the browser appeared to prevent the spread of harmful additions that add extra to the browser pane or button, change search settings, inserted advertising or malware into your computer. However, there are quite safe extensions that nevertheless do not have a signature. In the latest version of Firefox when trying to install this extension you will see a warning about the dangers, and the installation will be blocked. If you still need to install this expansion, you can use the following method. Type in the address bar about: the config . Accept the warning to be careful. Locate the service settings page record xpinstall.signatures.required and make her a double-click. Thus, this value changes to false. 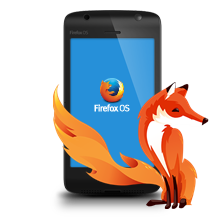 The result of this operation, you can set Firefox to whatever you need an extension or activate the already present among you, but to be disabled in accordance with the new security policy. In this case, of course, you must be very careful, because the installation of add-ons is a potentially dangerous activity. Note that this setting can be removed in future versions of Firefox because of the upcoming transition to a completely new architecture extensions.